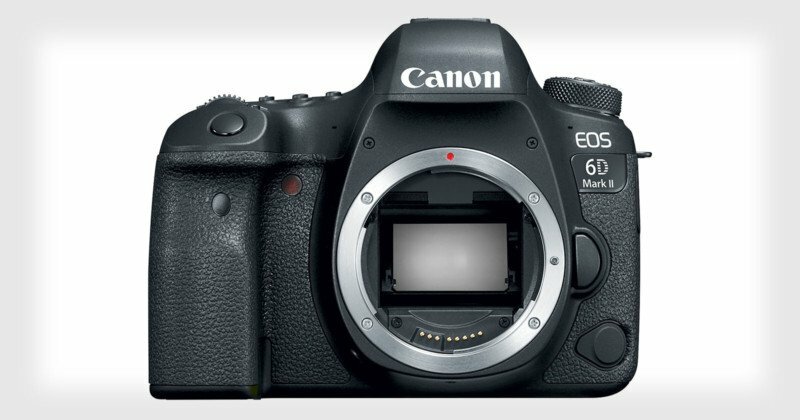 After weeks of rumors and leaks, Canon has just officially announced the new 6D Mark II. It’s a new full frame DSLR offered at a relatively affordable price point. The 6D line is designed to bridge the gap between Canon’s crop sensor DSLRs and its higher-end professional full frame DSLRs. At the core of the new 6D Mark II is a new 26.2-megapixel, full-frame CMOS sensor, up in resolution from the 20.2MP in the original 6D. Paired with a DIGIC 7 Image Processor, the sensor can capture an ISO range of 100 to 40000 (up from 25600 in the Mark I) and do high speed continuous shooting at up to 6.5fps (up from 4.5fps in the original 6D). The autofocus system features 45 AF points, with all of them being cross-type points (the original 6D had 11 AF points with the center being a cross-type point). Dual Pixel CMOS AF on the sensor provides phase-detection autofocus during Full HD video recording at 60p — nope, there’s no 4K video in this camera. On the back of the camera is a Vari-angle touch screen LCD that measures 3 inches — it’s the first fully-articulating screen of its kind on a full-frame DSLR. Other features of the camera include dust- and water-resistance, Wi-Fi, NFC, Bluetooth, and GPS. The 6D Mark II will be available starting in late July 2017 with a price tag of $1,999 for the body only, $2,599 when paired with the Canon 24-105mm f/3.5-5.6 STM, or $3,099 when paired with the Canon 24-105mm f/4L IS.